Student Sangli Li used the ability of video composite technology to overlay information, graphics and animation over a head-mounted display. 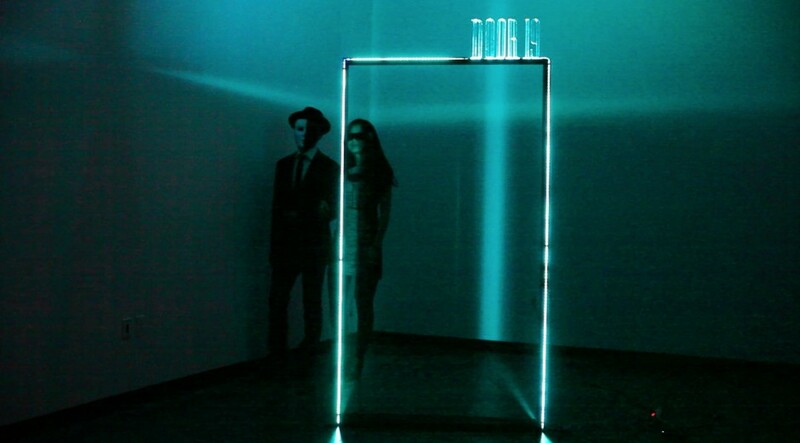 In his installation, called Door 19, a participant is led repeatedly through the same doorway. 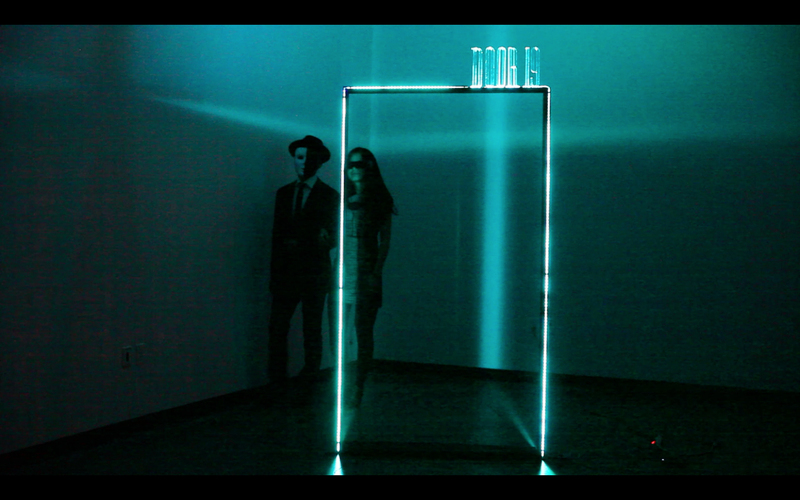 Each time they moved into the space the video overlay revealed an entirely different room. Hollywood sits in Art Center’s backyard and became the inspiration for Jenny Rodenhouse’s tour. In Minnie Mouse Around Town: A Personal Roving Presence Mascot, participants were treated to a multiple-perspectives tour of Minnie Mouse. Jenny began the inquiry on Hollywood Blvd. 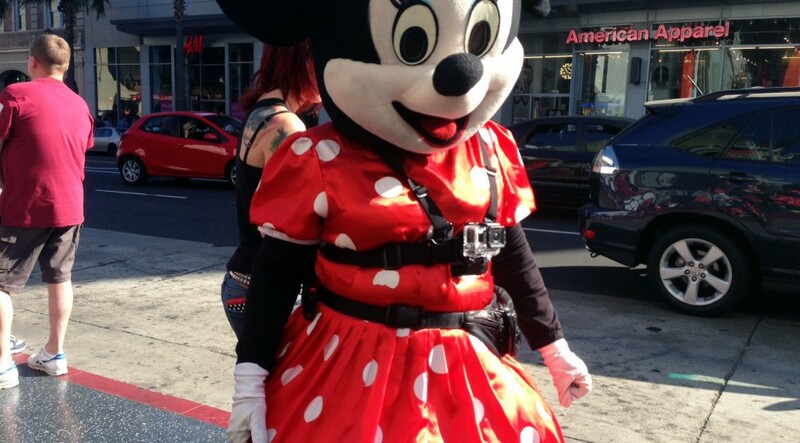 where she created a video by strapping a GOPro onto Minnie Mouse. The video revealed the uninhibited interactions of tourists addressing a stranger in costume. 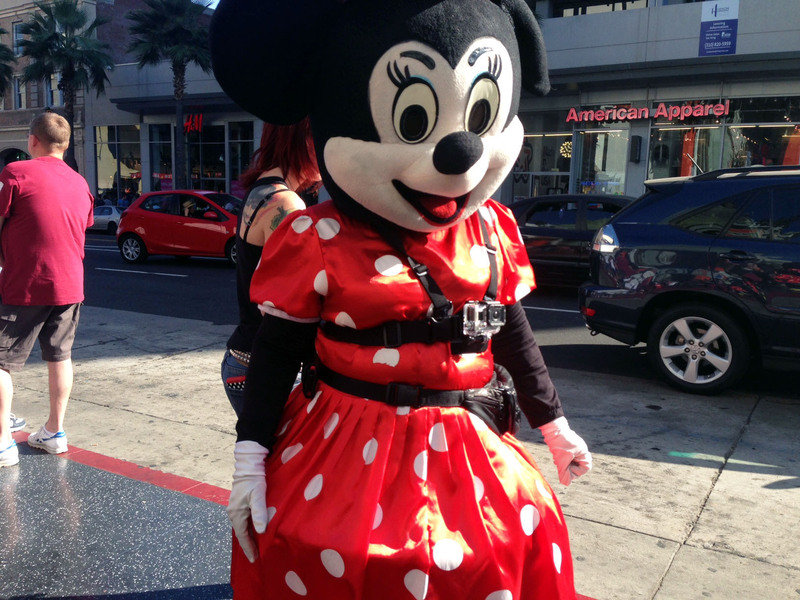 For her tour, Jenny allowed “tourists” to either wear the Minnie costume or to control a sound system worn by Minnie. Those at a remote control station could watch real-time video from Minnie’s point of view, triggering songs, sounds and recordings of phrases from Minnie Mouse that were intended to provoke or charm those who were greeted by Minnie. AR often remains the gimmick sibling to the even more trivialized virtual reality. Google glass and Oculus Rift style hardware combined with motion capture, face recognition, sensors, GPS, and other detection software could mean several possible futures for AR. 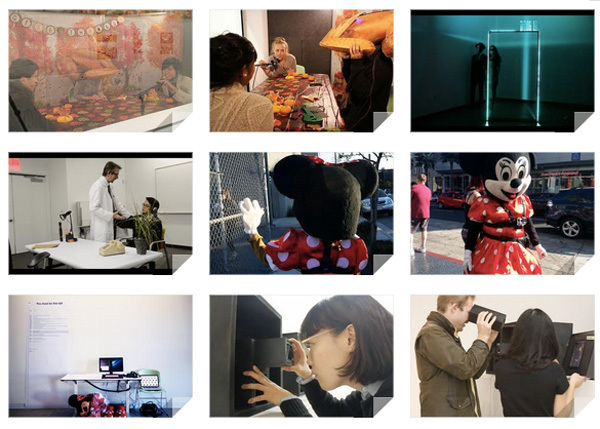 QiYuan Li’s psychologically jarring Intimate Tour of Difficult Conversations created an augmented space that mixed live interactive theater with wearable sensors. Tour participants were outfitted with clothing and headphones. They are guided to a waiting room. 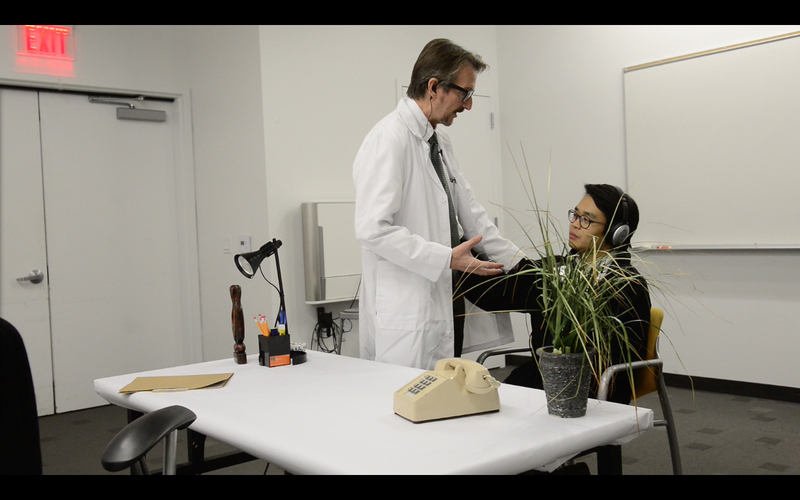 An actor guided participants through three conversations as three separate characters: a doctor who tells them they have cancer, a detective who accuses them of a crime, and a boss who fires them from their job. To increase the level of discomfort, the conversation was only audible when the actor and the participants were touching. Tim Kim’s Tour of Fallmark took people through a speculative research and development department that was re-imagining Thanksgiving. 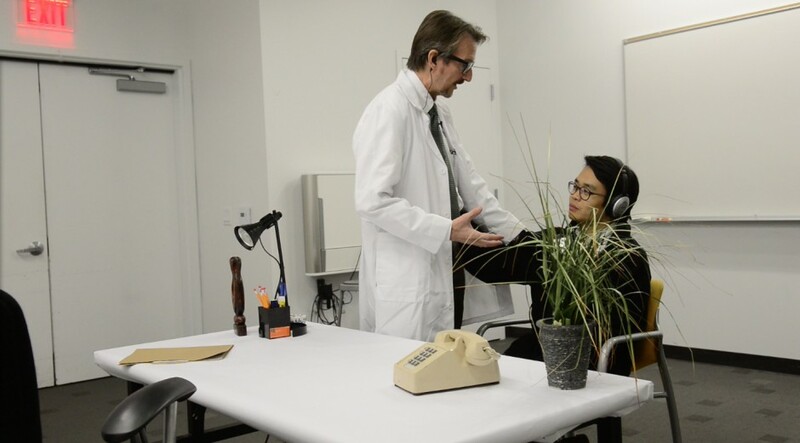 The Fallmark Lab allowed participants to investigate the commercialization of Thanksgiving as an immersive environment. Participants were guided through the Lab and took part in research experiments that placed participants in the perspective of a turkey.